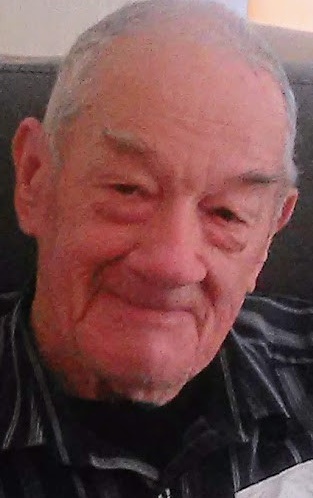 Lawrence "Larry" E. Gleckler, 89 of Marion, Ohio, passed away on Wednesday, April 3, 2019 at his residence. Larry was born on February 16, 1930, in Newark, Ohio to Charles and Minnie (Shaffer) Gleckler, both of whom are deceased. Larry is survived by his wife, Rosealea Gleckler, daughter, Patty Harris of Hebron, OH, daughter, Bonnie (Stan) Mansfield, of Buckeye Lake, OH, daughter Nina "Millie" (Randy) Potter, of Bladensburg, OH, son, Lawrence "Mike" (Kim) Gleckler, of Glenford, OH, daughter, Lisa (Mike) Parsley, of Groveport, OH, stepson, Frank Jenkins, of Ringgold, GA, stepson, Jeff (Tammie) Jenkins, of Gahanna, OH, stepson, Doug (Beth) Jenkins, of Delaware, OH, and stepdaughter, Kelly (Craig) Kalbes, of Marion, OH, and many grandchildren and great grandchildren. He was preceded in death by his parents, his first wife, 2 sisters, his daughter, Mary Hashman, and step daughter-in-law, Sue Jenkins. Larry was a retired machinist having worked for B & O Railroad and for Rockwell International. He also was a veteran of the US Army having served during the Korean War. Larry was a faithful member of Apostolic Gospel Church in Upper Sandusky, Ohio. He had a strong faith, and was passionate about serving the Lord. Next to this, he was an avid outdoor sportsman. He liked to hunt, fish, shoot, and just spend time outdoors. He also was a fun loving jokester who brought joy and laughter to all those around him. Funeral services will be held at 11:00am, Tuesday, April 9, 2019, at Apostolic Gospel Church, located at 221 N. 5th Street, Upper Sandusky, OH, with Pastor Rodney Donohoo officiating, and special guest Pastor Ron Tiller. Burial will follow at Oak Hill Cemetery where military graveside rites will be conducted by the Upper Sandusky Color Guard. Visitation will be held on Monday, April 8, 2019, from 2:00pm - 4:00pm, and 6:00pm - 9:00pm at the Lucas-Batton Funeral Home located at 476 S. Sandusky Avenue, Upper Sandusky, OH, 43351, and 1 hour before service time on Tuesday at the church. The family would like to give a special thank you to Ohio Health Hospice of Marion, OH, who gave exceptional care to Larry during his final days, and was a great source of comfort to the family during this difficult time.